The whole Beyonce-Super Bowl connection has just gotten weirder. 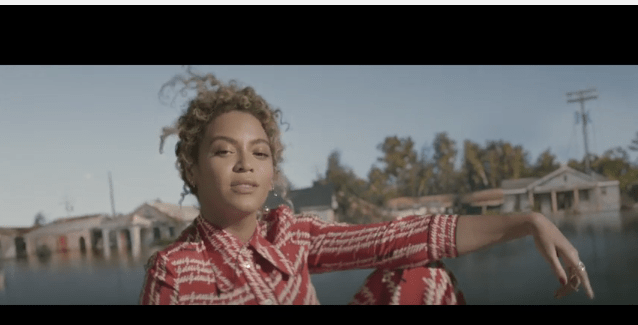 Mike Will Made It is the producer of Beyonce’s new hit single, “Formation,” released on Saturday. Beyonce is going to perform the song on today’s Super Bowl. It’s the precursor for a new album. The Super Bowl is being played by the Carolina Panthers vs. Denver Broncos. The quarterback for the Panthers is Cam Newton. 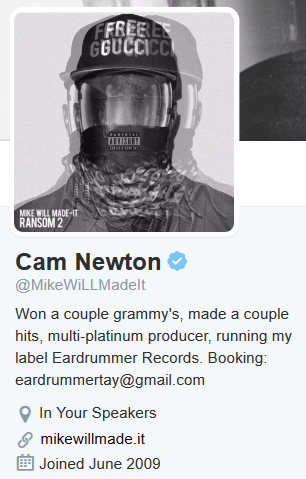 So guess who has the verified Twitter account for Cam Newton? No less than Mike Will Made It (real name Michael Len Williams II). Mike apparently thinks he’s Cam Newton. And what of Cam Newton? His verified account had to be Cameron Newton because someone else has his name. And Mike? He’s so into his alter ego that he registered his website in Italy so he could call it mikewillmade.it. That’s dedication.